If you’re already looking ahead to 2018 and planning to make it the year you buy a home, now is the time to start getting your financial house in order. By giving yourself plenty of time to address any factors that could be dragging down your credit score, you can save thousands of dollars in interest over the life of your mortgage. Having stellar credit also gives you a better chance at sailing through the loan process and getting your offer accepted in a housing market that’s expected to continue to favor sellers. Prosperity Home Mortgage offers tips for prospective homebuyers who are beginning the process of applying for a home loan. The company also makes mortgage consultants available, who will walk clients through the sometimes-complicated process of getting a mortgage. See what’s in your credit files. Three major credit bureaus, Experian, Equifax and TransUnion, maintain detailed reports on our financial lives, and we’re entitled by law to see each one of those for free once every 12 months. You can access them through AnnualCreditReport.com. Don’t be fooled by look-alike sites. You can also get to the site through links on the government’s Federal Trade Commission or Consumer Financial Protection Bureau (CFPB) websites. 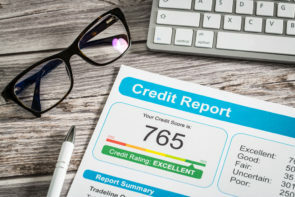 Your credit report has a lot of information about you, such as previous addresses, loans you hold or have paid off, open lines of credit, bankruptcies, liens and judgements. It’s important to make sure all of that information is correct. One in five credit reports contain errors, and correcting them takes time, so don’t wait to check. Dispute any erroneous information with the credit reporting company and the creditor who made the report to them. Find out more about what to include in your dispute documents at the CFPB’s site. The site has instructions, template letters and guides for how to go about this. Find out your credit score. Check your bank and any credit card companies you use to see whether they offer a free FICO score or other credit score. You might need to pay for a one-time score from one of the credit bureaus or myFICO.com, just steel yourself for sales pitches for monthly credit monitoring you might not want or need. Scores usually range from 300-850, and the higher the score, the easier it is to qualify for a loan and get a lower interest rate. A great place to be is in the high 700s and up, but a lower score won’t necessarily keep you from getting a mortgage. You just might have to pay more for it, because a lower score places you in a category of borrower that’s at higher risk of defaulting. 35 percent your history of paying accounts on time. 30 percent debt-to-credit ratio (how maxed out you are). 15 percent length of credit history. 10 percent whether you have opened accounts recently. If you’re trying to bring your score up, it’s vitally important to pay all your accounts on time and make sure they stay current. You might be tempted to consolidate debt and close credit accounts, but that’s not always a good idea, because doing so can cause your debt-to-credit ratio to skyrocket, which makes you look maxed out. For example, if you have two credit cards each with a limit of $10,000, and you are carrying a balance of $5,000 on one of them, then you close one of the cards, you suddenly go from using 25 percent of your available credit to 50 percent. A credit utilization rate below 30 percent is usually considered good. You shouldn’t open new accounts if you’re about to apply for a loan. Especially avoid making any major purchases on credit. Don’t move a lot of money around between accounts, co-sign on another person’s loan, or change your job, name or address. Stability is key. As long as your financial habits are healthy, your Prosperity mortgage consultant will recommend you continue using credit just as you normally would, because deviations can raise red flags. Once your credit is optimal and you’ve gotten a mortgage preliminary approval from your lender so you know your exact price range, contact a Long & Foster real estate agent who can help you get the best deal on your ideal home.